WELCOME TO THE JEEPNEY FAMILY! 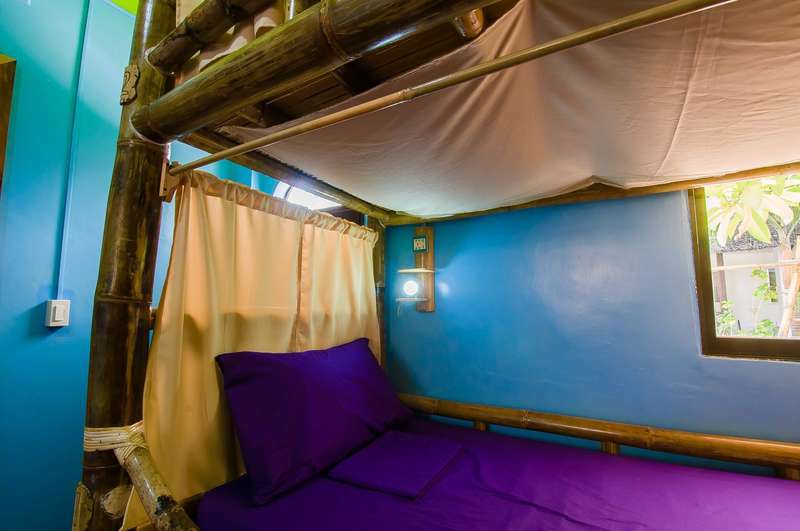 Jeepney Hostel & Kite Resort has 2 location on Bulabog Beach in the heart of Asia’s premier Kite Boarding destination. Jeepney provides different types of accommodation to suite every budget from Dorm, Standard and Suite rooms located beside Bulabog Beach to our Ocean View Luxury Villa’s and Pent House located on Mt. Luho to give amazing views of the Kite Surfing Beach. 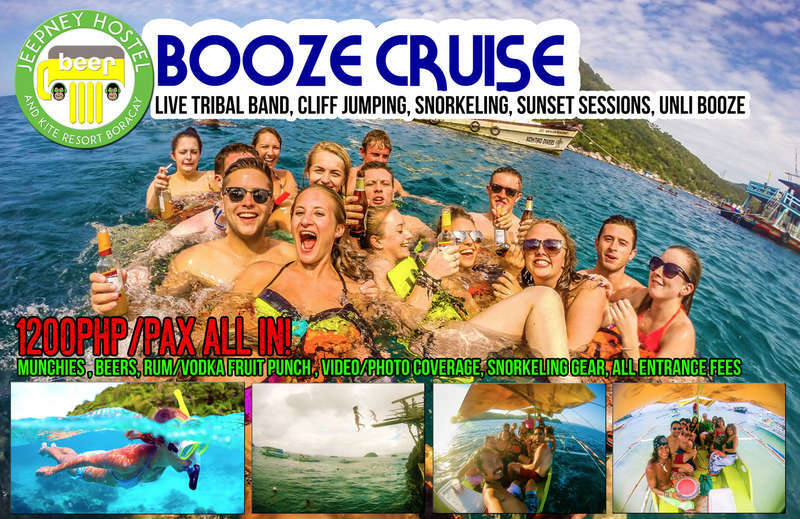 Dorms and Private rooms are located beside Bulabog beach, facilities include 2 restaurants, Boracay’s biggest sports bar “FUSION”, our rooftop bar “Swingers Lounge” for live music and sunset chill sessions. 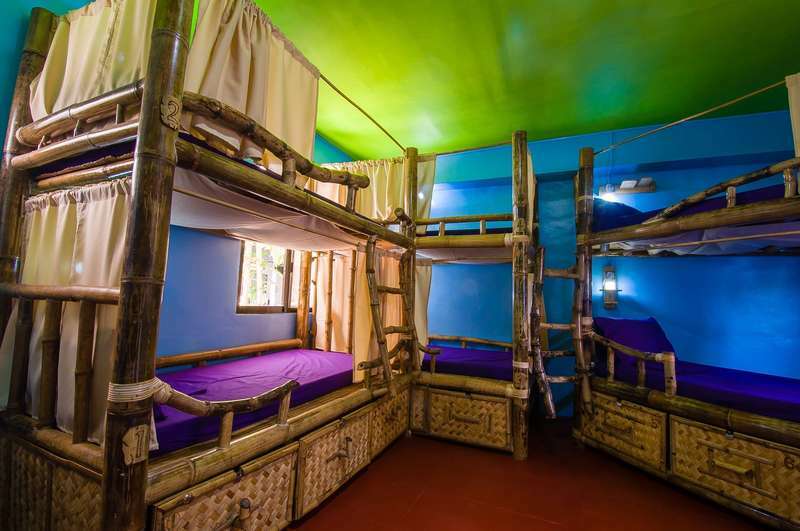 Jeepney Hostel has connecting bridges to chill-out areas, DJ booth and garden areas with 3 bars, pool table, darts, sports satellite, movies night, kite school, action adventure company all making us one of the most unique hostel/resorts around. Our Ocean View Luxury 4 star accommodations are only a 7 min walk up Mt. Luho giving you stunning views of the Sun Rise and the kiting beach. Ocean View Customers are also able to use all the Hostels facilities and get discounts on the tours, rentals and kite school. Included at our main resort are our other companies Boracay Kite Centre for kite surfing lessons/rentals and Going Native Adventures for Jungle trekking and Mountain Bike Tours & rentals, Booze Cruises, cliff jumping and remote island tours.